Business and political leaders have urged the Government to get to grips with Brexit after warnings that the North East could be hardest hit by the UK leaving the European Union. Today the Gazette publishes the results of the latest research into possible economic consequences of Brexit, showing the areas of the UK which voted most strongly in favour of Leave in June 2016 are likely to bear the economic brunt of departure. 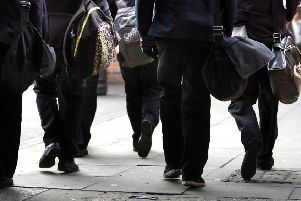 The findings are in line with recently leaked government analysis which suggests that the North East of England, meanwhile, will be one of the worst affected areas. South Shields MP Emma Lewell-Buck said: “This article makes for sad reading. “I have said from day one that the Government must put protections in place for our economy and industries that we have here in the North East. People will be worried by these figures and it is up to the Government to ensure that those concerns are addressed and a proper plan is put in place to ensure the North East is not unfairly affected by our exit from the EU. The Government’s chaotic approach to Brexit is deeply concerning to me and my constituents. Her Washington and Sunderland West colleague Sharon Hodgson, whose constituency covers Sunderland’s Nissan plant, said: “The Government’s chaotic approach to Brexit is deeply concerning to me and my constituents. “Following the referendum, I made a commitment to my constituents that I would ensure the best possible Brexit deal was secured for them. It is clear from the Government’s assessment reports that the North East is not a priority for them. North East England Chamber of Commerce director of policy Ross Smith is unimpressed with progress so far. He said: “Our businesses are the most successful in the country when it comes to trading with Europe. “If doing that trade is going to be made more difficult, it stands to reason that we have the most to lose.